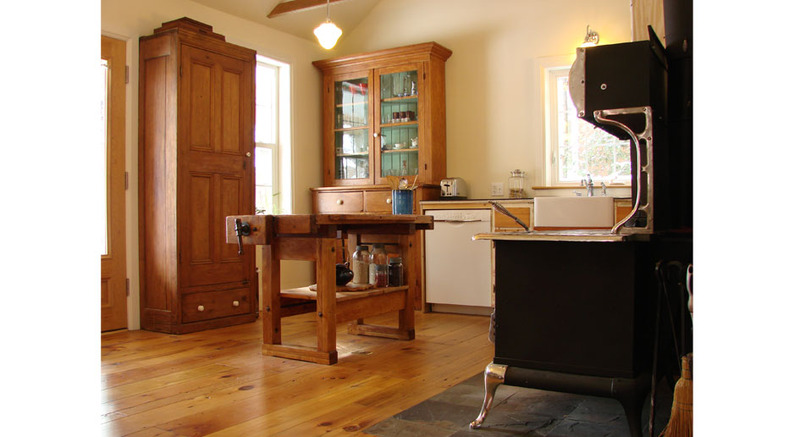 For interior applications on porous or old wood and stone or wood countertops of any age. Use as a first coat to reduce quantity of final treatments of either Liquid Beeswax Wood Finish, Hardwood Oil Finish or Tree Resin and Oil Finish. Ideal as a first coat on earthen or adobe floors. A dark-brown outdoor penetrating wood finish for use on wooden fences, fence posts, barns, hotbeds, coldframe and greenhouse structures or soffits and fascias. As it may wear or weep over time, it is not for use on outdoor furniture or wooden playground equipment. Designed for use on hardwood floors, furniture and other interior architectural woodwork. It penetrates into the wood while its resin content hardens the surface from the inside, making it water-repellent and easy to clean. Use on interior wood, cork, porous stone, brick and terra cotta surfaces. Despite its name, we use it with great results routinely on softwoods too. This Liquid Beeswax Wood Finish yields a very fine, anti-static finish on interior wood, cork, natural stone and linoleum surfaces. Ideal on fine furniture and architectural woodwork that is not exposed to moisture. Carnauba Floor Wax is a fine protective surface finish for interior wood, natural stone, terra cotta and unglazed tiles. Apply thin coats on parallel with the wood grain. Avoid wax build-ups in cavities and cracks. Ideal for furniture and average-traffic floors. Water-resistant, but do not use on frequently wet areas.